A new type of polymer can show that it has changed shape. 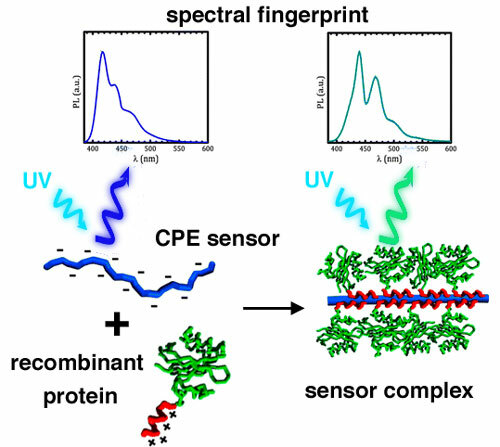 After exposure to UV light, the chain-like molecules emit a different colour of light. This opens a new pathway for research into how viruses function in a cell and how minor damage in rubbers and plastics can accumulate and lead to rupture. Researchers highlight the risk that engineered nanoparticles released from masonry paint on exterior facades, and consumer products such as zinc oxide cream, could have on aquatic creatures. 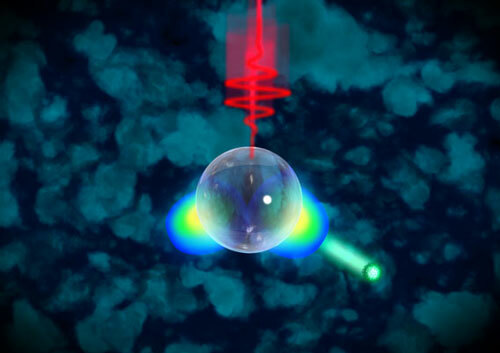 A team of physicists and chemists has studied the interaction of light with glass nanoparticles. 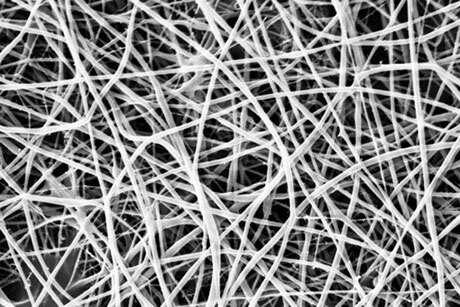 Nanomembrane sheets made from nylon resemble a tangled web. The tiny iron oxide particles on the fiber surfaces can help clean toxic chemicals from water, but if the particles get separated from the web, they can become hazards themselves. 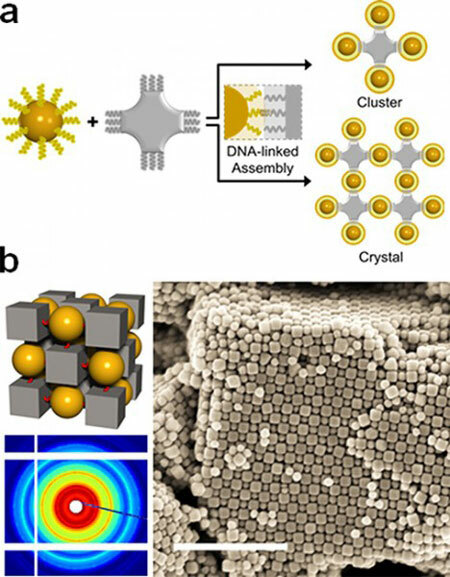 Researchers report the development of a biodegradable nanogenerator made with DNA that can harvest the energy from everyday motion and turn it into electrical power. 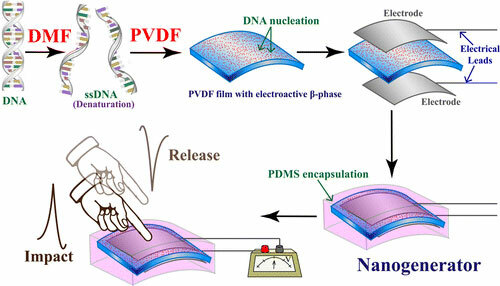 Researchers studied the effective parameters on the production of polymeric nanofibers through electrospinning method. 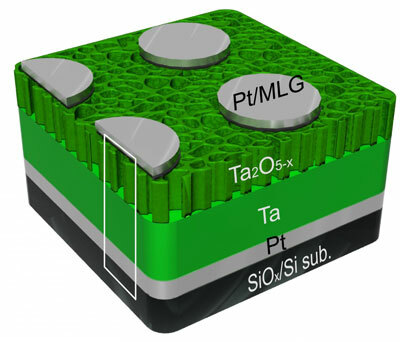 New approach to design and assemble nanocomposite materials could advance energy storage. 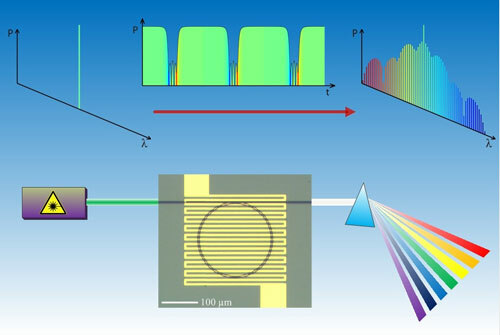 New imaging technique shows heat building up inside microprocessors, providing information to help solve heat-related performance issues. 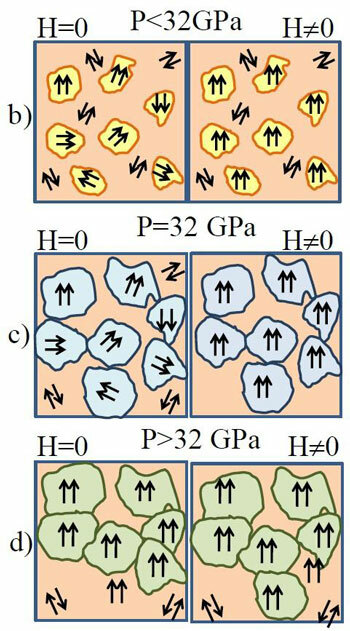 New research successfully used high-pressure conditions to induce colossal magnetoresistance for the first time in a pure sample of a compound called lanthanum manganite. 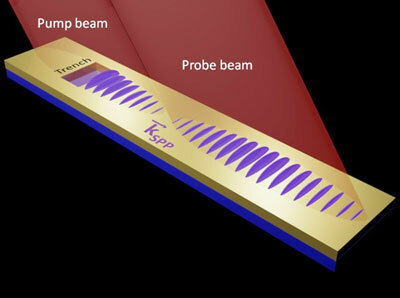 Surface plasmons move at nearly the speed of light and travel farther than expected, possibly leading to faster electronic circuits. 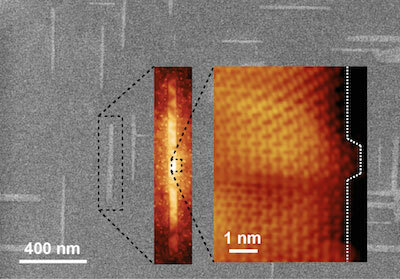 Engineers have discovered a way to grow graphene nanoribbons with desirable semiconducting properties directly on a conventional germanium semiconductor wafer. This breakthrough could allow manufacturers to easily use graphene nanoribbons in hybrid integrated circuits, which promise to significantly boost the performance of next-generation electronic devices. 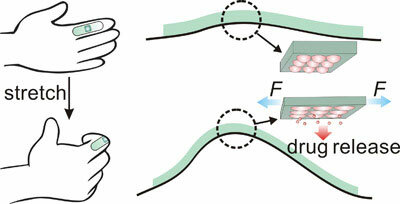 Researchers have developed a drug delivery technology that consists of an elastic patch that can be applied to the skin and will release drugs whenever the patch is stretched. 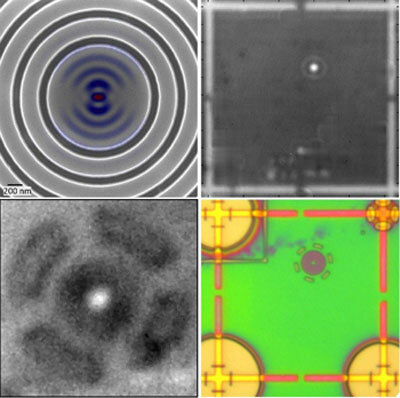 Researchers have developed a simple new technique for locating self-assembled, epitaxially grown quantum dots, and used it to create high-performance single photon sources. 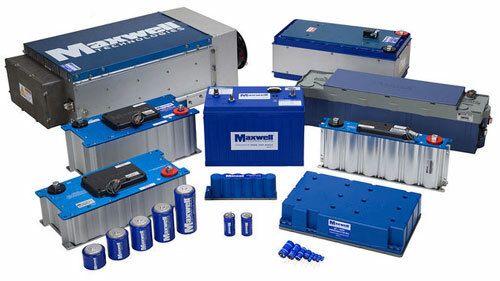 Graphene has number of interesting properties that have led researchers to suggest either modifying components of Li-ion batteries, or using graphene as the energy-storage medium instead as promising solutions. Scientists have created a solid-state memory technology that allows for high-density storage with a minimum incidence of computer errors. 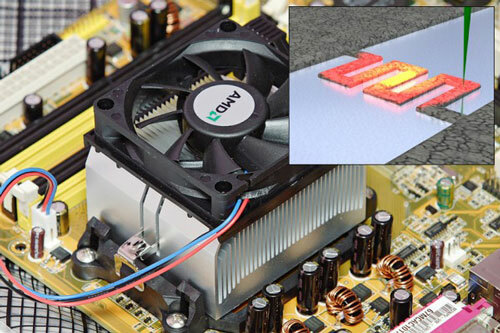 The memories are based on tantalum oxide, a common insulator in electronics.